Icelandic authorities are committed to offering a favourable business environment. This includes a low 20% corporate tax and a new effective incentive regime aimed at foreign investment, especially in the high tech industry. As a member of the European Economic Area, Iceland is part of the European internal market with European legislation, including a comprehensive data protection act, and tariff free access to the European Union. Establishing a data center in Reykjavik is in perfect alignment with The City’s green industrial policies. Accordingly, the City offers any appropriate assistance to further such project. 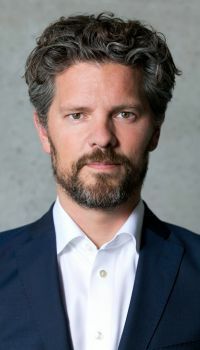 – Dagur B. Eggertsson, Mayor of Reykjavík. Iceland focuses on a favorable business environment, including low corporate tax, availability of land and green energy at competitive prices and efficiency within European legislative framework. New direct investment projects can apply for an investment agreement, ensuring generous regional incentives. EU regulation does also allow general incentives for SMEs, R&D and environmental protection. The Regional Incentives, according to Act 41/2015, apply to the whole of Iceland outside the capital area. The incentives include the authorization to fix an income tax rate ceiling of only 15% for 10 years, depreciate real estate, equipment and moveable assets fully, reduce the rate of property tax and the general social security charge by 50%, grant exemption from customs and duties for construction materials, machinery and equipment, and other capital goods and the state and municipalities are allowed to lease a site for the project at reduced rates. Learn more about the incentives and support for direct investment, available in Iceland.